Aging is not a curse, but according to medical science it’s a disease and can be controlled. We cannot stop aging, but we can control it, beat it and slow it with right advises from beauty experts and skin specialists. Advance Clinic– Skin specialist at anti wrinkle treatment department thinks that no matter what you do for a healthy skin, signs of ageing can develop as women enter her late twenties or early thirties. Philosopher says it’s exciting to grow old graciously, but we are living in 21st century and today we have medical facilities to counter aging from its root. Medical science has a special branch called ‘cosmetic surgery’ for preserving your beauty and making you more beautiful. The cosmetic experts have developed advanced methods to preserve, restore and rejuvenate your skin. From smoothening of skin to beautifying self, there is lot of methods to stop aging or developing wrinkles. Note: Cosmetic beautification doesn’t means that you have to directly opt for surgical methods to restore youthful vigor or tight skin. There are many different treatments available, which are non – surgical; to deal with fine lines, creases, frown lines and wrinkles. Example: There is an anti-aging treatment where anti – wrinkle injections are pushed between nerves and muscles to block signals. 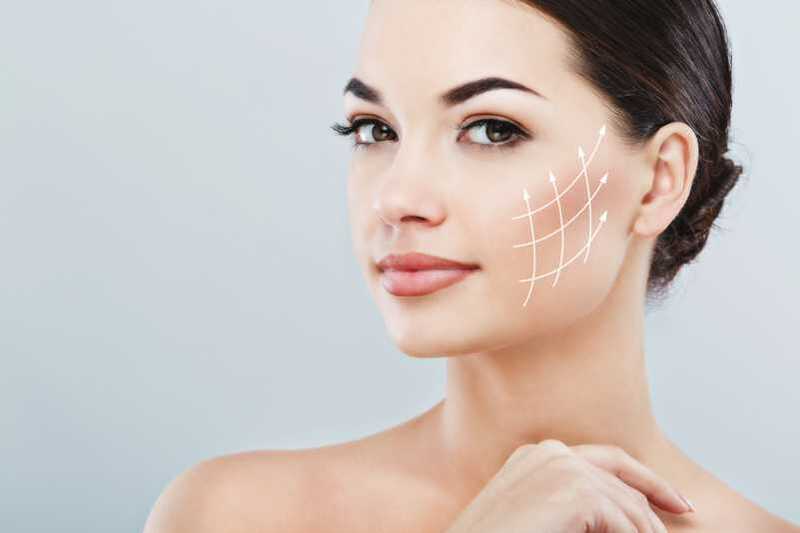 The blocking of signals ensures that wrinkles or lines are kept at bay. Insight: So, you will not have to go for invasive procedures where cuts and scars can become usual. Rather, minimally invasive procedures are relatively safe, less painful, zero risks and effective results. It’s also the first step towards getting the youthful, vibrant and glowing skin. Non – Surgical Solution: Anti-wrinkle injections are one of the preferred solutions to tackle loosening of skin, wrinkles and creases. The injections are best for women age group between 28 – 38 years. It works well on women in mid – thirties. For women in late twenties, it can really give wonder results instantly. It’s also a good solution in place of full face lifting. The benefits majorly are less risks, quick recovery time, and value for money solution against aging. Remember it’s not stated that women in 40’s cannot opt for this anti – wrinkle solution. It works effective even in sagging skin or deep wrinkles. Negligible Discomfort: Surgery is often scary and anti – wrinkle injections on the other hand is easy to apply. When it’s administered by a professional like ‘Advance Clinic’ expert then you will just feel like a prick. The quick and precise administration ensures that you have little discomfort. If you’re still fearful about injecting you can always go for a local anesthetic to numb the skin, which helps in further reducing any discomfort. Instant Youthful Vigor: There is no question of bruises, swelling and intense skin inflammation. The non – invasive process for treating aging will give results in 3 days approx. The skin will look smooth, plump, and youthful in right time for any occasion or event. Instant Recovery: The surgical process will take lot of time to heal, whereas with injecting process only takes few minutes. It can be done even in lunch time. You can also return back to work the same day. So, absolutely zero recovery time needed.